The bleeding heart flower may at first glance remind us of our emotional pain, but really contains the secrets to relief from our hurts and burdens. 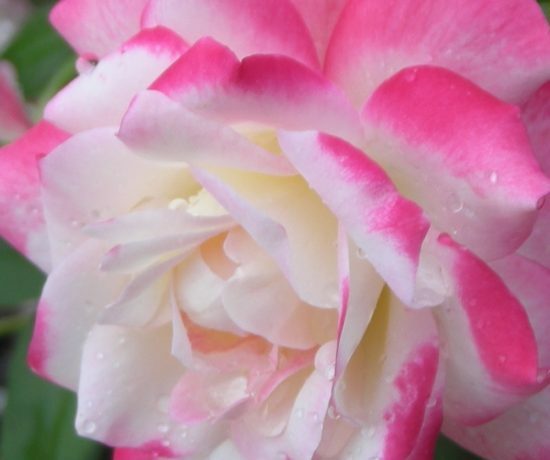 The beauty of this pink heart shaped flower with white trails surrounding yellow at the open part reminds us of the heart where our greatest wisdom exists, with the white reminding us of the purity that is at the core of the heart, and yellow of wisdom’s ray. And pink, oh glorious, pink, brought by Angels to ever remind us of our own heart of Love connected to the Oneness of All that is, ever close and always present, soothing, comforting. Opening the heart may at first get us in touch with the pain, but if we stay present without closing or withdrawing, we can allow Divine Love to flow through the heart healing anything that is blocking this flow of Love. 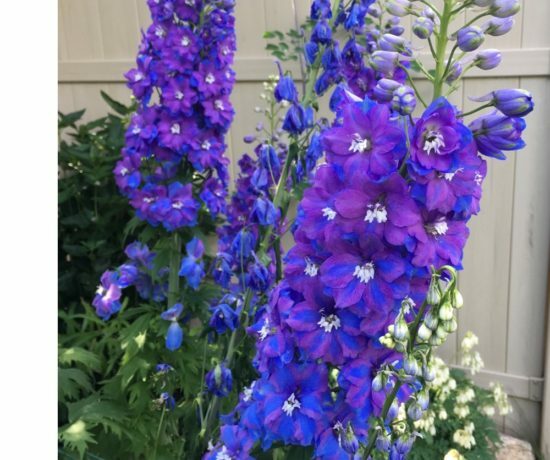 So let us meditate on this flower and allow the gentle healing energy to soften the hardness of heart that was only created as a defense and form of protection. And may we realize that the more Love that is flowing through us, first nurturing ourselves, then flowing outward to bless and care about others, the less protection we need, for Divine Love is the most powerful thing there is. 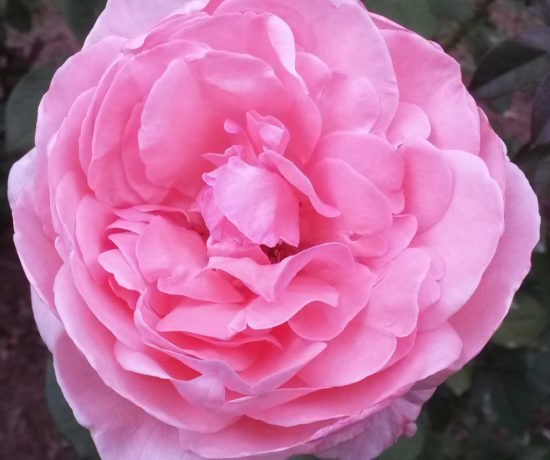 This flower is graceful, with all the sweet pink hearts connected on the stem, like our hearts in our bodies are connected to each other, all of us at our divine center, wanting to receive and then give unconditional love and compassion. Even if the hurts and travails of life may make us forget, or if we can’t see it in others, this is our true purpose, with each person at a different place in their healing journey. The path of beauty, with the angel devas holding the blueprint of divine qualities of each unique beautiful flower, is a path of healing, and most importantly, a path of love. When we quietly behold such beauty, the frequencies of love and healing can be felt, and then we can allow the lower energies of hurt and pain to entrain up to the higher frequencies of love and healing, and be healed. 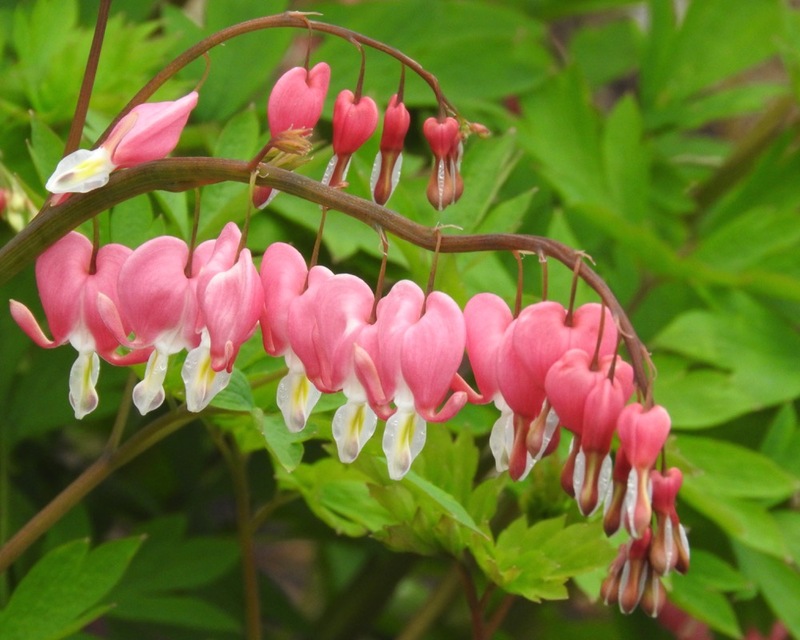 Thank you angel devas of the bleeding heart flowers for gracefully helping us heal our heart and allow the Love to flow through, blessing us and helping us stay “in the pink of health”. Love is the best medicine there is.